I was tagged by Andie over at Andreas Nirvana and I love a good cliche so here are my answers for the Cliche Book Tag. It looks like the tag originates at Miranda Reads over on Youtube. 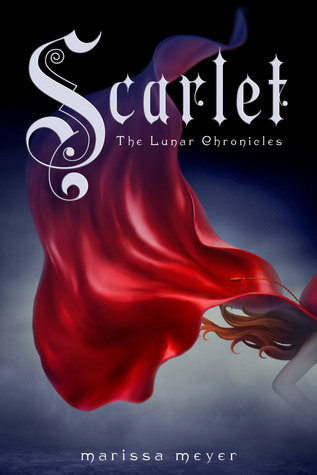 The Lunar Chronicles has followed the story of Cinder the lost Princess of Luna as she makes friends, whom happen to bear startling similarities to fairy-tale characters we would know, and fights to take back her crown from the evil mind-controlling Queen Levana. Each book has expanded on the universe and Winter brings it home to Luna (the moon) and adds the beautiful, kindly and kind of crazy Princess Winter to the mix and all the Snow White elements that go with the story. There’s even an apple. This ones a long one and it jumps back and forth between the main points-of-view. These books at this point can pretty much be broken down into couples (Cinder and Kai, Scarlet and Wolf, Thorne and Cress and lastly Winter and her palace guard Jacin.) As much as I liked the book and the story it really did all come down to the love stories and it got kind of tiring. I was like I know, I know you love each other! You’re his Alpha! He’d do anything for you! I get it move on! Actually, my favorite relationship in all the books might be the android Iko and Cinder. You know you have a friend for life when they take you apart and fix your wiring. The dialogue and the characters are consistent but a couple of things stood out and kind of bugged me. One when Cinder is looking out over hundreds of people who are willing to fight and die for her and she’s like willing to take control of any of their minds, willing to sacrifice any of them but then she gets to one of her friends and the “main characters” and that changes. It’s an honest thought yes but it was also kind of cold and just bugged me. Also there’s an act of (admittedly mind-controlled) violence within one of the relationships at the end that’s almost completely swept aside. It was pretty brutal and while I admit it was mind-controlled I would still imagine that realistically a person would have problems being around the person who actually did it. Very much not the case here. It’s probably nitpicking in a book that I really did enjoy. Plus it’s called Winter and since it’s still hovering around eighty degrees where I live I’ll take what I can get. Recommend: Yes. Despite my issues with the book I thought the ending more than held up and closed the series out very nicely. Plus, I finished a series! I finished a series! FYI- It’s not very imaginative at all but I couldn’t help picture Regina from Once Upon a Time as Queen Levana. For what it’s worth I think she’d kill it. Favorite Book of the Series- Going to have to go with the first: Cinder. Favorite Times with Books 2014 Concluded! I was not actually going to finish my Favorites in 2014 but what the heck? There was only this one left and while I’m not big on retelling (writes the girl who watched Once Upon a Time for the first time in years to see live-action Frozen). I had a lot of fun playing in Marissa Meyer’s world of cyborg and fairy tales and definitely think it’s worth a read. 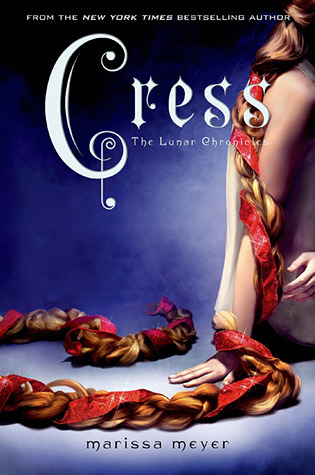 Cress is the third book in Marissa Meyer’s Lunar Chronicles. I was planning to put off reading it until closer to book number four’s release but it was a dirt cheap deal on Amazon on Black Friday and I simply couldn’t stop myself. Cress herself is a Lunar Shell- meaning she has no powers of mind control like all the other Lunars but she can hack and program like a boss so she’s been trapped on a satellite for the last several years spying on Earth for Sybil, the Evil Queen’s second in command. (I’ve been reading a lot of these recently and it makes me wonder why is it always an Evil Queen?) Anyway the book starts off with Cress waiting for Cinder and her gang to rescue her. This is her first shot at freedom so needless to say it’s going to get screwed up royally for everybody. 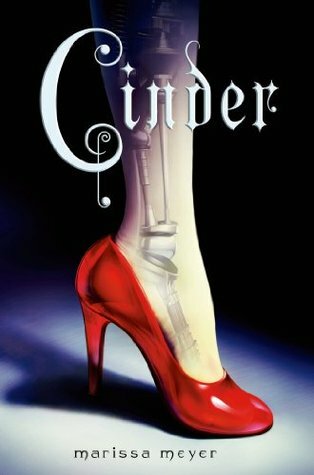 I really like this whole series which started with Cinderella as a Cyborg Cinder. Cress is of course Rapunzel whose in love with escaped prisoner Thorne and boy even he knows she romanticizes him. I like the character a lot. She could be annoying as she’s completely over the top dramatic but it’s balanced well with a helpful talent and a good head on her shoulders. I also really like the fact that much as Cinder is a top mechanic Cress also has a usually for the guys purpose in her programming skills. The rebels struggling to pull themselves together runs right up to Emperor Kai’s wedding to the Queen which everyone is determined to stop. All the characters are very likeable actually. The story moves along at a quick pace. There’s some interesting bits throughout including when Cinder takes over someone’s mind and then they point out that not only should the Queen not have that power- no one should. Also beware throughout the book one of the main characters is a prisoner of the Lunar’s and tortured. We see her lose a finger at one point. That’s like less than 10% of the novel but you should be warned. There’s a paternity twist that while it wasn’t bad made me think of Once Upon a Time & here’s hoping the family tree doesn’t get that screwy. Also as much as I like the character of Iko- Cinder’s android bestie- who jumps from body to body and desperately wants to be beautiful that’s definitely a character where less is more. She’s funny but then at a certain point she stops being funny. But the worst part is definitely going to be the endless wait until Winter is released next year! I’m late to this series and I’m still learning & delving into the world of it but I’d absolutely recommend it! It’s a well-written fun retelling of fairy tales that stands on its own just as well.